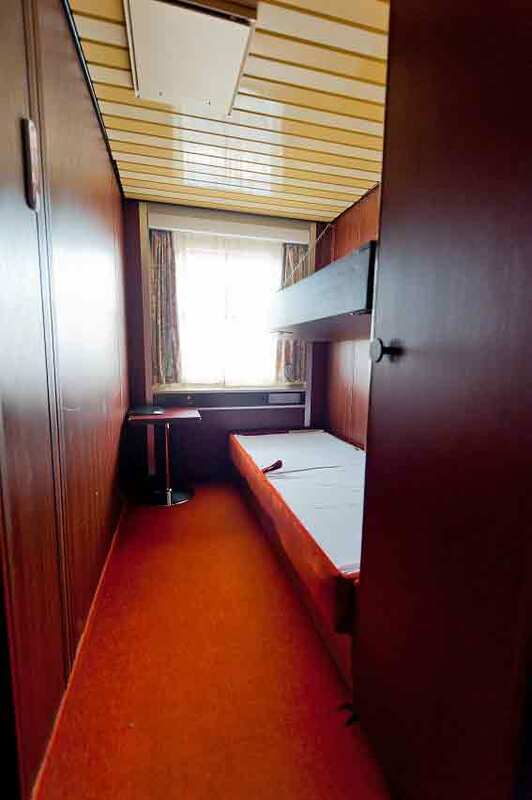 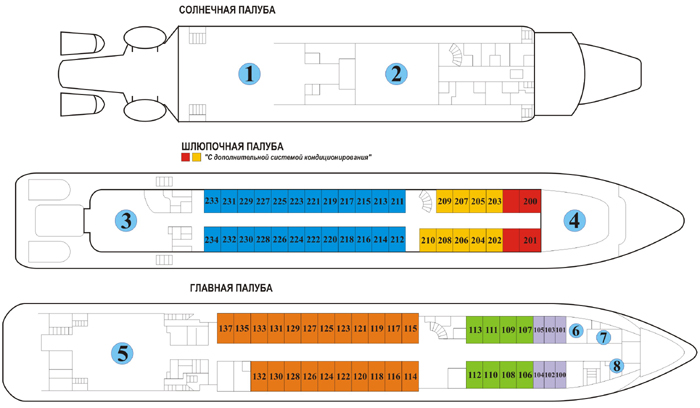 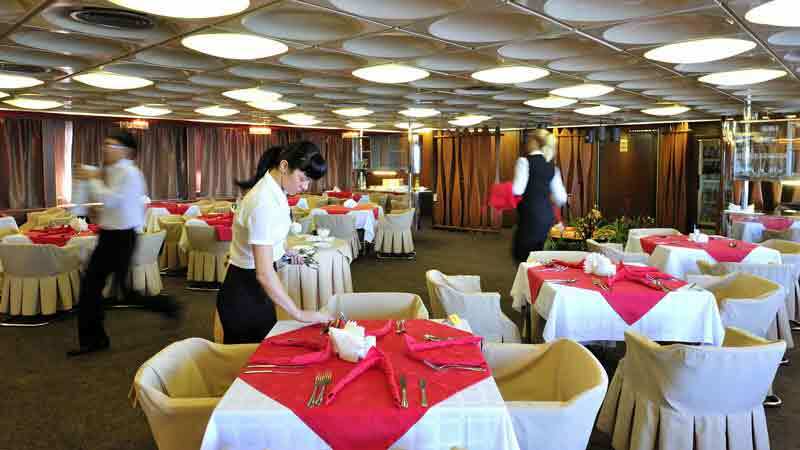 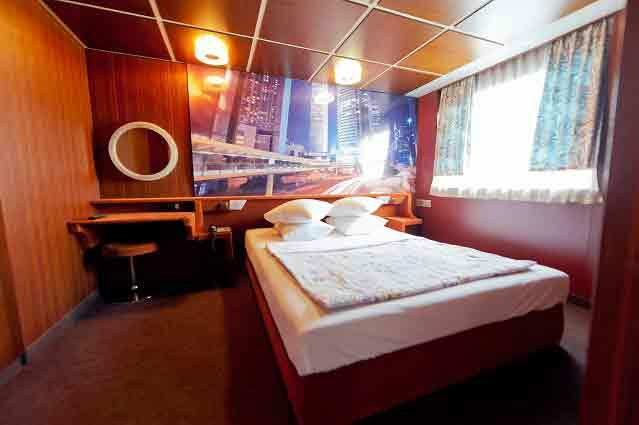 Cabins are located on the main deck. 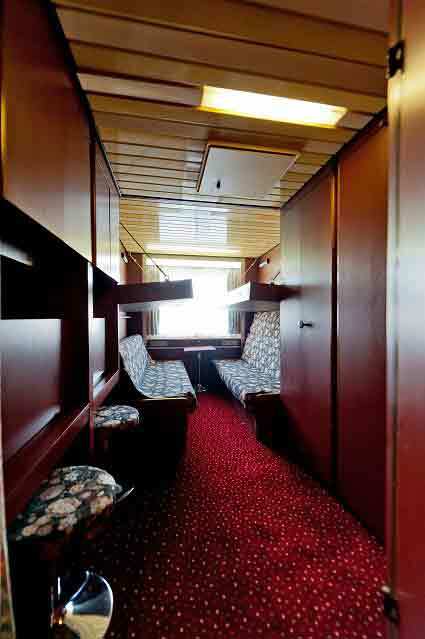 The cabins are equipped with one sofa bed and one bunk bed, WC with a shower, air-conditioning, table, chair, wardrobe. 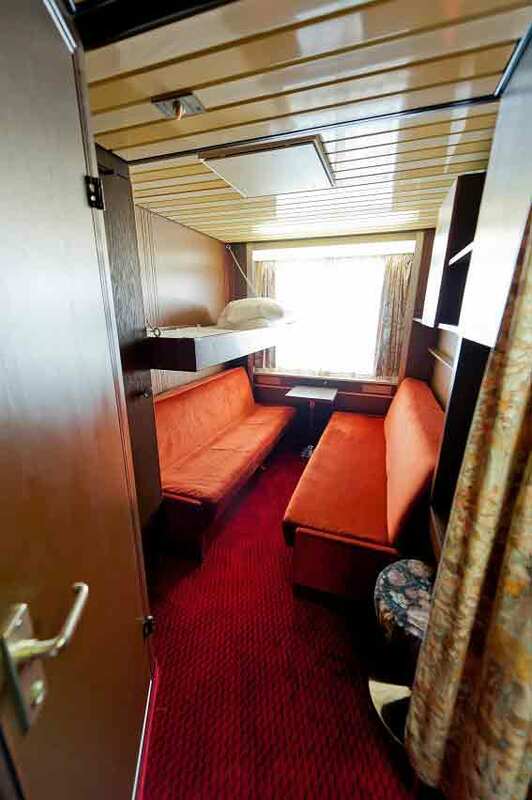 Cabins are located on the boat deck and consist of 2 rooms. 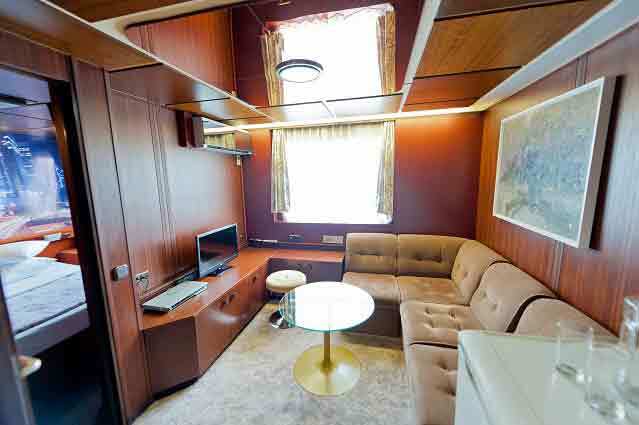 The cabins are equipped with 1 king size bed, WC with a shower, air-conditioning, table, chair, wardrobe, sofa at a living room, internal phone, mini fridge, TV set.